I love my MAC Cosmetics Lipsticks. I have this little ritual where I buy myself a new lipstick, everytime I finish a new semester with good grades in law school. Because I recently finished my bachelor of laws, I wanted to spoil myself with two (!) new MAC lipsticks. 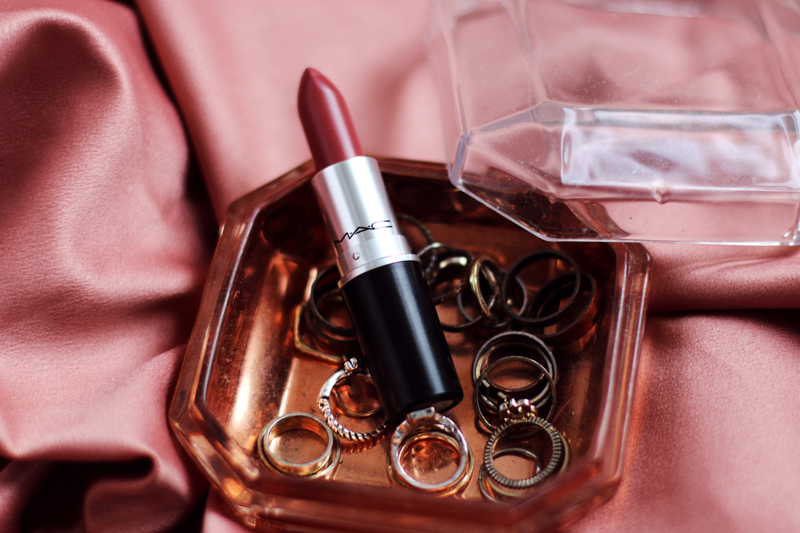 I’m going to review them both, and this time I’m starting with MAC Mehr – a beautiful color which already became my new fave lippie. I honestly don’t know why I don’t hear more people about this lovely shade. Can’t wait to show you the swatches! Let’s start with the outside first. MAC Cosmetics’ original packaging is always black, sleek and chic. I love how they look on my vanity, especially displayed in those cute lipstick holders. Only annoying thing is I can’t see which lipstick is which, but I’ve already kind of memorized their places, so I don’t struggle with that anymore. Time for swatches! MAC Cosmetics describes this color as a matte dirty blue pink. I definitely see the blue undertones, but there’s also a bit of warmth in this color. 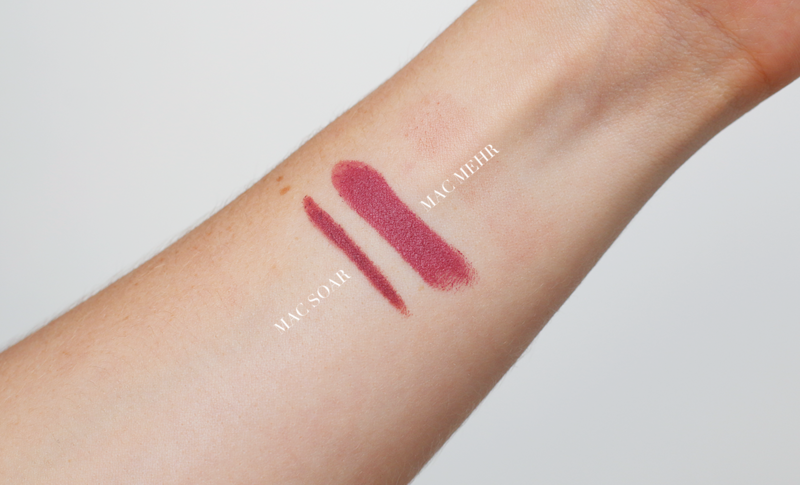 As you can see, MAC Mehr has great, opaque pigmentation. It has a matte finish, but isn’t drying at all. It’s actually one of the softest (if not the softest) matte MAC lipstick I own. 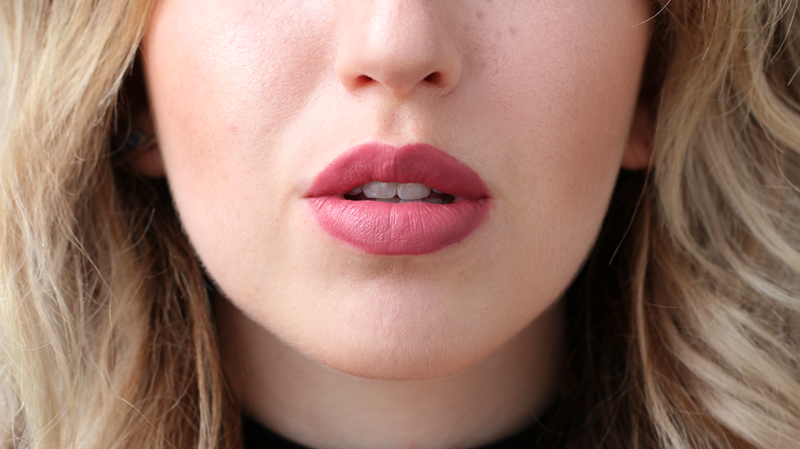 Also, I love pairing my lipsticks with a matching lipliner. 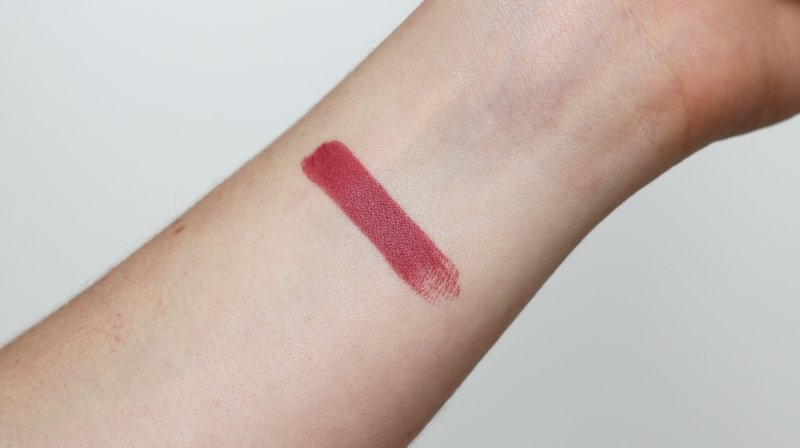 MAC Mehr lipstick goes perfectly with the MAC Soar lip pencil. Definitely a must have combo! And this is how the color looks on my lips. Honestly, I don’t know why I didn’t get MAC Mehr earlier. This color is BEAUTIFUL. It’s a pinkish, mauve-ish color, which will look good on a lot of different skintones. I feel like this is a darker, more daring version of the beloved your-lips-but-better lip colors. It’s still neutral enough to wear with a prominent eye, while still adding a good bit of color to your face. 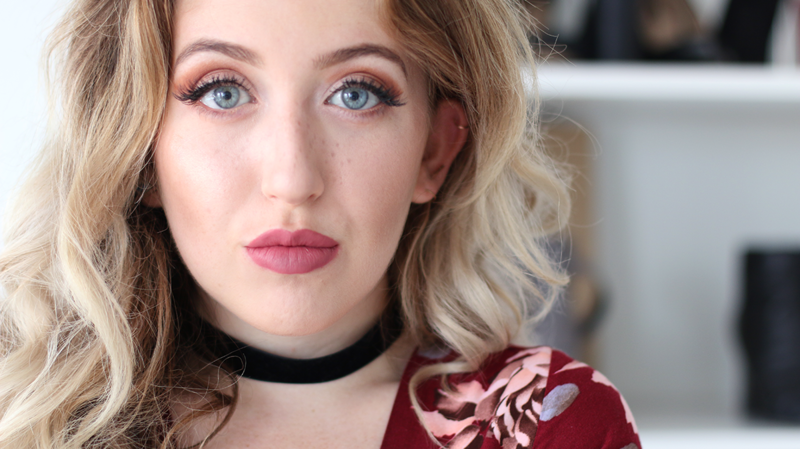 The perfect, not too overpowering lippie if you ask me! 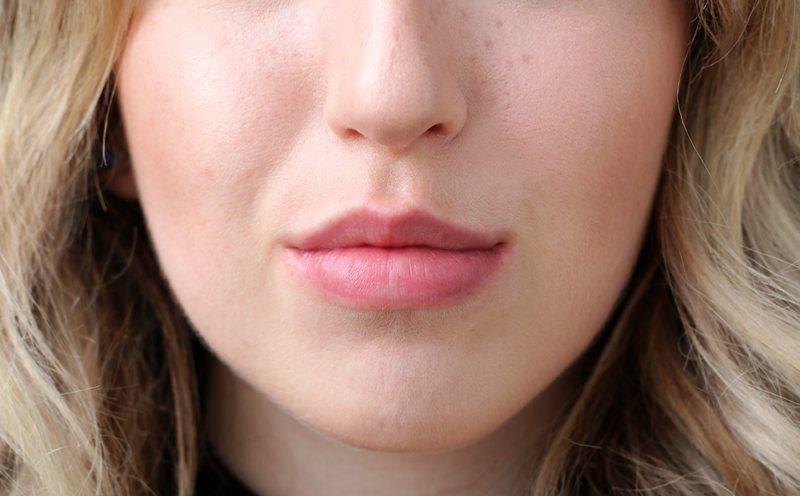 In this photo you can see me wearing MAC Mehr with a bit of MAC Soar lip pencil to clean up the edged and overdraw my lips a bit (love doing that). I think this combination looks SO stunning. I’ve always hear everybody talk about the Kylie Jenner combo, which is MAC Brave and MAC Soar, but this one is even prettier if you ask me. The colors look perfectly together and I love how this color is neutral, mauve-ish, but still fresh. 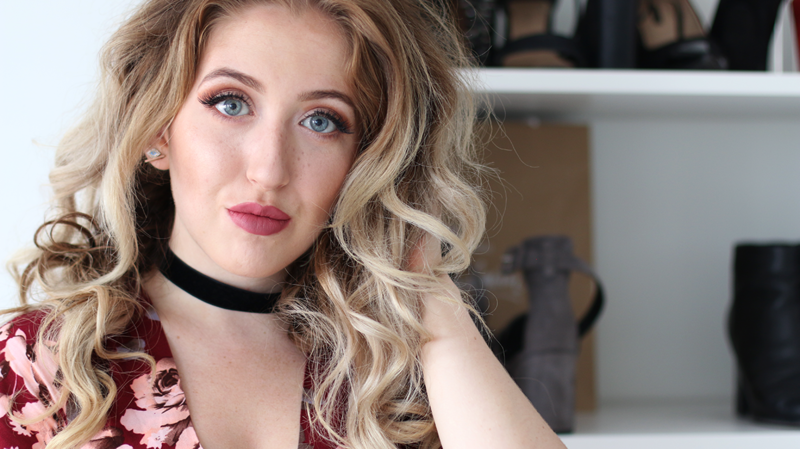 Without a doubt, this lipstick is a big fat yay. 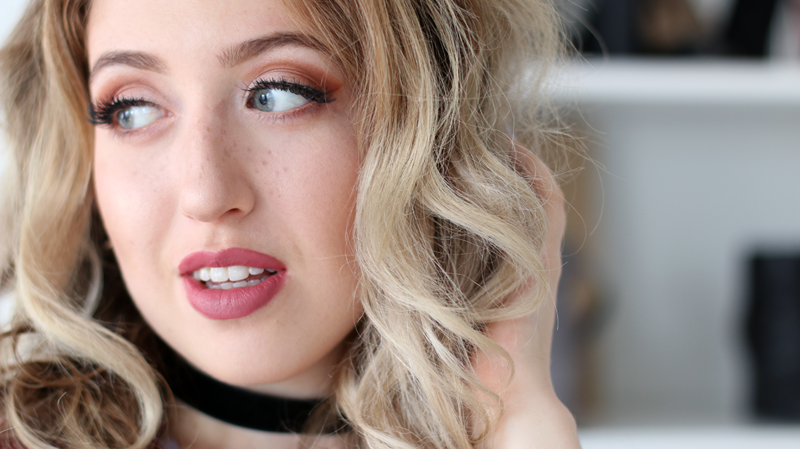 It’s definitely my new favorite MAC lipstick and I can’t recommend it enough. If you don’t have MAC Mehr lipstick yet, go out and get (yes, even if you’re chilling in your sweats atm), that’s how much I love it. And get MAC Soar lip pencil as well, as it is the perfect combination. Your lips will be on fleek with those two, I promise ya! 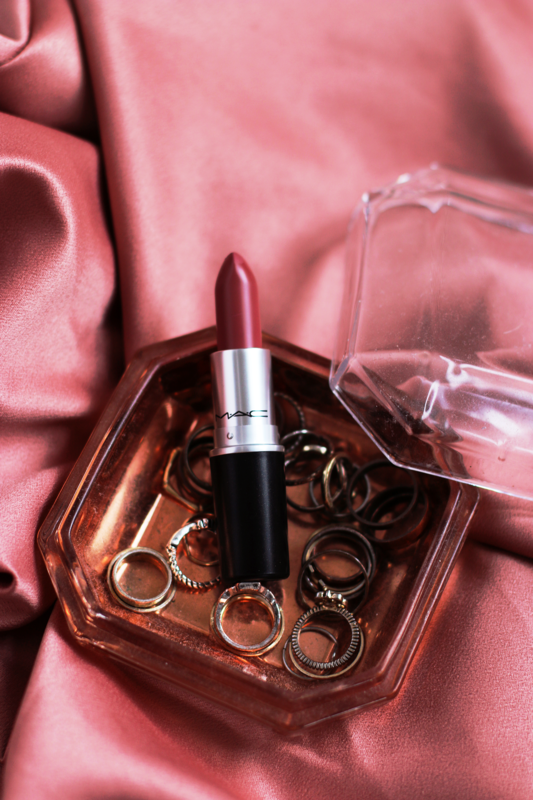 WHAT’S YOUR FAVORITE MAC LIPSTICK? Wauw! Wat een prachtige foto’s heb je gemaakt en wat een geweldige kleur! Love it. I have not heard about this color yet but it looks absolutely amazing! Super mooie kleur! En wat maak je mooie foto’s! Oh, oh, zo mooi en hij staat je ook ontzettend goed! Ook super fijn dat hij met Soar goed samengaat! Wauw, dit is echt een prachtige kleur! Hij staat je erg goed! Hey there! I’ve been eyeing this colour for a while now and wanted to check how well it suits a fair complexion? I’ve heard that lipsticks with blue undertone work better if you have fair skin and wondered if you found that to be true with this shade of MAC lipstick. Thanks in advance for your reply! Its really a lipstick that I d like to use at work or at parties to have the natural and smart look. Perfect! I just been eyeing this color a while a go,and ended to buying it.. I love it!